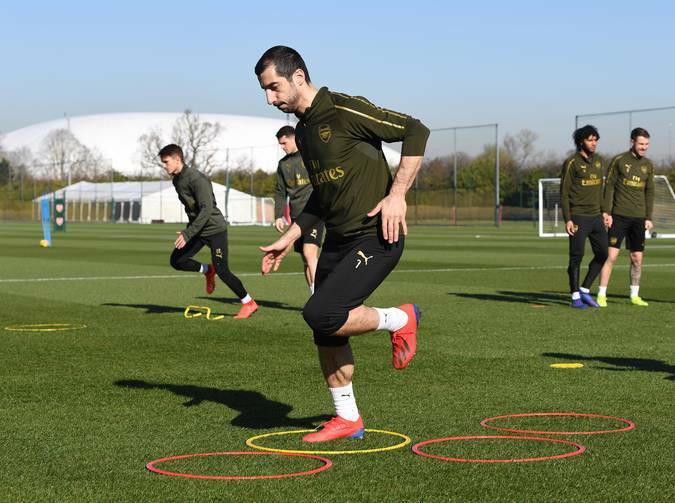 Arsenal have received a double boost on the injury front ahead of their Premier League game with Bournemouth on Wednesday night. 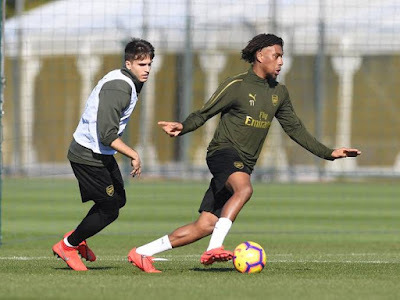 The Gunners secured a 2-0 victory over Southampton on Sunday and during the match, Stephan Lichtsteiner and Alex Iwobi had to be substituted for varying fitness worries. It was a knock to the Nigerian international while the defender had to pull out due to a back issue as revealed by Unai Emery at his post-match press conference. The Spanish boss stated that both were not serious and was highly hopeful that they would be back in time to feature at the Emirates Stadium tomorrow. As expected, Iwobi and Lichtsteiner have shaken off their worries. The duo was in training with the rest of their teammates at London Colney today meaning they have got high chances of being named in the squad for the Cherries' visit. A statement from the club earlier today claimed that they will undergo late fitness tests to ascertain their readiness for the encounter. Ainsley Maitland-Niles is also available for selection having returned after a battle with illness made him miss out of recent games. Arsenal currently sit in fourth position on the league table just a point behind Manchester United who played a goalless draw with Liverpool on Sunday.